Find immigration test products and services with expert interviews, informational guide and more. Description: There are two fees associated with Immigration DNA testing, please call. Description: Immigration DNA paternity pesting laboratory, AABB Accredited. 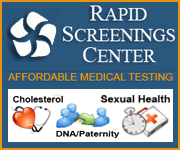 Genelex has over 20 years of experience with DNA paternity, maternity and other relationship testing worldwide. Description: Immigration DNA Tests – Designed especially for immigration use in a court of law, Our Immigration DNA Testing Services are highly accurate and confidential. Call 0845 2571217 for more details. DNA tests may be used in the US immigration visa application process when no documentation is available to prove a familial relationship. DNA may be used when one seeks citizenship because other, immediate family members have already been granted US citizenship. To learn more about Immigration DNA Tests, see our Immigration DNA Test Guide and our interviews with genetic test experts Kristine Ashcraft and Dr. Michael Baird.